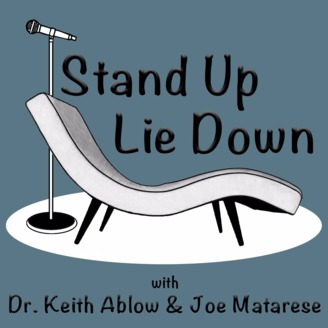 Stand Up Lie Down integrates personally revealing standup clips from the guest comedian on the show that episode with expert analysis from Psychiatrist Dr. Ablow and comedian Joe Matarese to get the truth behind the guests comedy. At times, the comedians will be challenged to put away their natural defense of telling jokes, in an effort to provide clarity and insight. Later on, we will revisit with certain guests to get updates and share in their progress. 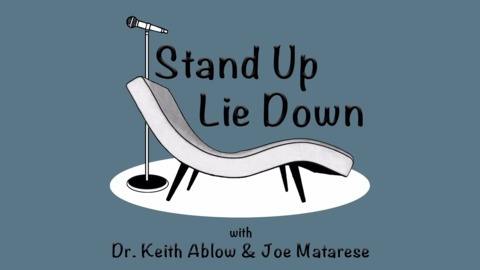 To support the production of this podcast, and gain access to our behind-the-scenes material please go to the following link: https://www.patreon.com/Standupliedown. Jimmy Kimmel Live, VH1 Classic's "That Metal Show", Fox News Red Eye, The Howard Stern Radio & TV Show, and many others. He's a hilarious comedian, but on the other side - he's a little darker. The passing of his father, then the passing of his girlfriend, followed by a (recent) divorce have molded him into the man he is today. Let's find out who that is, in this episode of StandUp Lie Down. Love the podcast? Consider following us on Patreon at: https://www.patreon.com/Standupliedown. We rely on your support to develop new episodes, and want to hear from you!